Enough of the frizzy red wigs at Sonia Rykiel! This time the models had cute pony tails and large pom-pom headbands. The models were happy about it. At least, they all put on a smile at the catwalk. Sonia Rykiel herself proved she’s not involved too much anymore by sitting front row, next to Beth Ditto. Her daughter Nathalie had to do it all on her own. And she did a very good job. 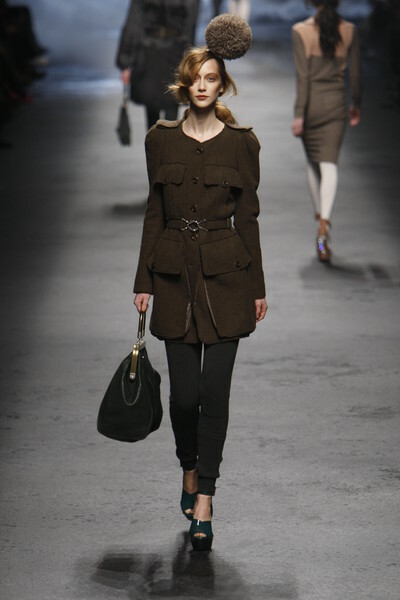 There were dresses with knitted sleeves and woolen cardigans, worn with big belts. 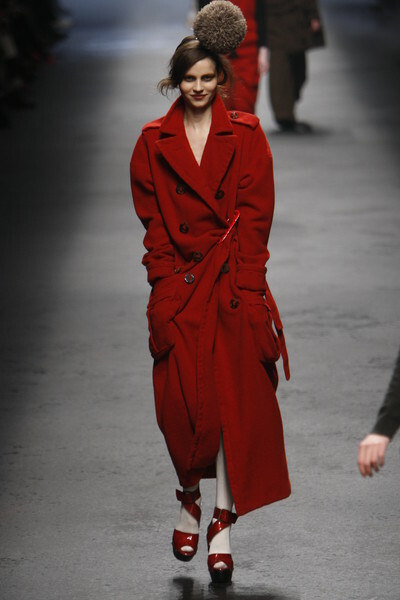 A long bright red coat with a huge safety pin looked very comfy. We saw pant suits, fur coats and military jackets. On a lot of the pants a diagonal shoulder strap was attached. It didn’t really hold up the pants, it was just a nice detail. In some designs the shape of the breasts was accentuated by the fabric. Yet it made the models’ tiny breasts look even smaller, but maybe that was the intention. Halfway the show a pair of cycling pants, left behind from the summer collection, was shown. It was worn over a pair of white tights. Soon after that some colors were introduced. 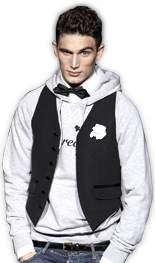 Three outfits had collared stripes all over them and a few other designs came in kobalt blue matched with black. Luckily the collection then turned back to neutral shades. 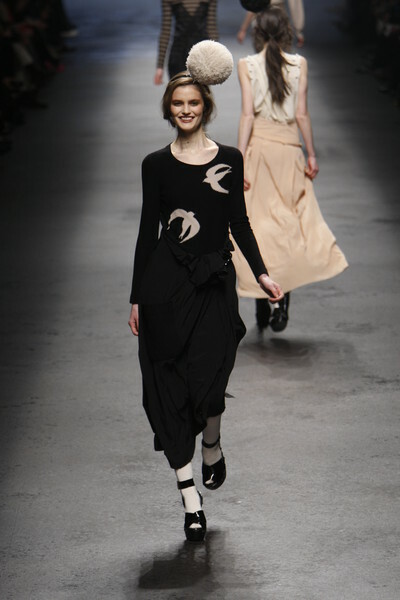 Skirts, dresses and jumpsuits came by in satin, chiffon and a transparent sort of knitwear. 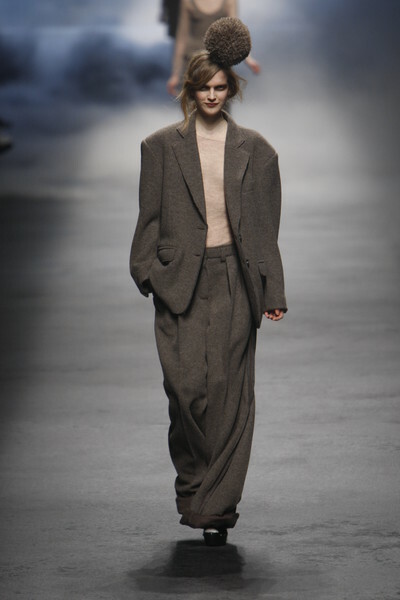 So according to Sonia Rykiel the trends for next winter are: natural colors, oversized suits, suitpants, large woolen dresses or cardigans and ladylike details. We can hardly wait! The finale was, as always with Sonie Rykiel, a big party. All models came up in light-shaded marabou coats and dresses. They were smiling, clapping and dancing and seemed to have the time of their lives. And Nathalie Rykiel…, she just partied along.